I have the same problems other freelance writers have. I have time-management issues and I have family members who don’t understand that writing is a full time job. While I’m willing to accommodate some people (like my Grandmom when she needs a ride to see her doctor, or my pregnant sister-in-law with the flu), I really can’t spend all day running errands and doing things during the time I should be – get this – working. That’s not my main problem, though. My main problem is getting the people I know and love to understand exactly what it is that I’m doing. I need them to understand that what I do has a scope much larger than writing fiction novels for paperback rights. I can tell they don’t realize that every single thing they read on a daily basis is created by some sort of writer – whether her name is on the page or not. Writers, to them, write books. Period. End of statement. The reality of the situation is that there are hundreds upon thousands of people in the world who want to write for a living. Many of them will publish books – fiction or non – but many of them will not. They’ll spend days, months, and years scribbling away only to struggle to find a market later on. They may make money. They may not. I’m not one of those people. I wouldn’t even begin to know where to start with a fiction novel. Instead, I choose (for now) to put my fingers to the keyboard and create articles, blog posts, eBooks, eReports, and sales copy for business owners with needs. I am happy to give them content that will help them to take their businesses to the next level and, when compensated properly, I don’t mind that my name does not appear on the page. I pick and choose my projects to ensure I am able to pay my bills. It’s just like my estranged cousin said. They want to live vicariously through me. They want to be able to say that they know a writer. They think they know what “writers” are and they think I’m doing it all wrong. I am a writer, whether my name appears on the page or not. I may never write a best-selling novel, and I’m OK with that. Deborah Dera is a full-time professional writer specializing in personal finance, credit repair, loans, car insurance, education, writing, blogging, search engine optimization, and more. She’s the founder of Write on the Edge and offers unique content creation solutions to businesses looking to build their online brands. Great post. This is definitely something that all freelance writers can surely identify with to some extent. Thank you, thank you, thank you. I needed to read this this morning. All of us have something to contribute of value and it’s up to us to value what we contribute, even if others do not. I love to write and that is what matters most. I’ve done some ghostwriting. One of my friends says that she could never do that because she’s want credit for her work. I asked her if she wanted a little sign with her name on every iPhone she sold or if she wanted the commission check. Suddenly, she saw my point. When people ask me what I do I usually say “I’m a ghostwriter.” When they ask what that is I reply “I write books for folks.” That often ends it unless the person really is interested. Umm… I think my eyes just Glazed over. Just kidding 🙂 Great Post! Testify, Deborah! The only tough thing about ghostwriting is that you can’t always disclose what you just wrote, even to family and friends (if you’re under a tight NDA). If I go more than a few weeks without publishing something under my own byline, I have to convince my loved ones that I really *am* working on drafts and not noodling around online. I go through this all the time,infact a friend recently asked me the same question,as i went through the laborious task of explaining to her where exactly i see my blog in a few years,she gave me that glazed look and finally settled on ‘why don’t you write a book?’ i was lost for words. Interesting article but I am confused. If Deborah, whose name appears at the end, wrote it, who is Jeffrey Reyes, whose name appears under the headline? Wendy – Freelance Writing Gigs allowed me to submit a guest post. They post them under already created accounts but gave me credit for my work at the end. Thank you all for the comments. I do write some pieces under my own byline but the majority of my “pay the bills work” is for others. It is hard to make people understand not only what I do, but that I enjoy what I do. Good luck to all! I get it. 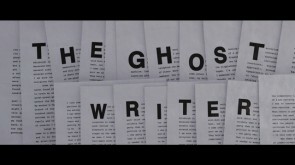 I am also a ghostwriter.